On December 3, 2016, Morocco and Nigeria signed one of the most innovative and balanced bilateral investment treaties (BITs) ever concluded. Although it has not entered into force yet, the BIT is a valuable response from two developing countries to the criticism raised in the last few years against investment treaties, most prominently unbalanced content, restrictions on regulatory powers and inadequacies of investment arbitration. In the last couple of decades, Africa has functioned as a normative laboratory for investment treaties. Several sub-regional organizations, including the Common Market for Eastern and Southern Africa (COMESA), the Economic Community of West African States (ECOWAS), the East African Community (EAC) and the Southern African Development Community (SADC), have prepared templates and concluded investment treaties that contain largely innovative provisions aimed at better calibrating the legal protection of the interests of the different stakeholders. However, at the same time, African governments—as well as countries in other continents—have become more reluctant to ratify new BITs and have even denounced several existing BITs. Moreover, African states have been hesitant to adopt the Pan African Investment Code (PAIC) in the form of a binding treaty and in 2016 SADC Members adopted an amendment to the Protocol on Finance and Investment removing the provisions on investor­­–state dispute settlement (ISDS). (a) to monitor the implementation and execution of the treaty (including facilitate the exchange of information and when appropriate set corporate governance standards). (b) to debate and share opportunities for the expansion of mutual investment. (c) to promote the participation of the private sector and civil society. (d) to seek to resolve any issues or disputes concerning Parties’ investment in an amicable manner. The definition of investment contained in Article 1(3) the treaty is inspired by the Salini decision and requires, in addition to the contribution to sustainable development, the following characteristics: commitment of capital, search for profit, assumption of risk and certain duration. Importantly, the definition of investment excludes portfolio investments. While ensuring a level of substantive protection comparable to that traditionally contained in BITs, the treaty clearly specifies the obligations of the host state. Starting with contingent standards, the national treatment standard applies in like circumstances, which are indicated in the non-exhaustive list of Article 6(3). Under Article 7 investors are entitled to the minimum standard of treatment (MST) guaranteed under customary international law. The same provision further elucidates that fair and equitable treatment (FET) includes “the obligation not to deny justice in criminal, civil or administrative adjudicatory proceedings in accordance with the principle of due process embodied in the principal legal systems of a Party,” while full protection and security refers to “the level of police protection required under customary international law.” The remaining substantive provisions, including that on expropriation, transfer of funds and subrogation, largely reflect consolidated BITs practice. The treaty introduces a series of obligations upon investors. They must comply with environmental assessment screening and assessment processes in accordance with the most rigorous between the laws of the host and home states, as well as a social impact assessment based on standards agreed within the Joint Committee (Art. 14(1) and 14(2)). must apply—alongside the host state—the precautionary principle (Art. 14(3)). must maintain an environmental management system and uphold human rights in accordance with core labour and environmental standards as well as labour and human rights obligations of the host state or home state (Art. 18). may never engage or be complicit in corruption practices. must meet or exceed national and internationally accepted standards of corporate governance (Art. 19). are expected to operate through high levels of socially responsible practices and apply the ILO Tripartite Declaration on Multinational Investments and Social Policy (Art. 24). The BIT addresses perceived unduly restrictions imposed by some investment treaties upon host state regulatory power by recognizing the parties’ right to exercise discretion “with respect to regulatory, compliance, investigatory, and prosecutorial matters and to make decisions regarding the allocation of resources to enforcement with respect to other environmental matters determined to have higher priorities” (Art. 13(2)). Moreover, nothing in the treaty prevents them from adopting, maintaining, or enforcing, in a non-discriminatory manner, any measure otherwise consistent with the treaty that they consider appropriate to ensure that investment activity in their territory is undertaken in a manner sensitive to environmental and social concerns (Art. 13(4)). The treaty provides for mandatory settlement of both investor–state (Art. 27) and state–state disputes (Art. 28). With regard to the first category, Art. 27 provides investors—and investors only—access to arbitration at the International Centre for Settlement of Investment Disputes (ICSID) or in an ad hoc tribunal under the rules of the United Nations Commission on International Trade Law (UNCITRAL) or any other rules. The treaty also contains an innovative—yet, as discussed below, rather problematic—provision according to which, before initiating arbitral procedure, “any dispute between the Parties shall be assessed through consultations and negotiations by the Joint Committee” upon a written request by the State of the concerned investor (Art. 26(1) and 26(2)). Representatives of the investor and the host state (or other competent authorities) participate, whenever possible, in the “bilateral meeting” (Art. 26.2). The procedure ends at the request of “any Party” and with the adoption by the Joint Committee of a report summarizing the position of “the Parties.” If the dispute is not settled within six months, the investor may resort to international arbitration after exhausting domestic remedies (Art. 26(5)). The BIT provides that arbitral proceedings must be transparent. In particular, the notice of arbitration, the pleadings, memorials, briefs submitted to the tribunal, written submissions, minutes of transcripts of hearings, orders, awards and decisions of the tribunal must be available to the public (Art. 10(5)). Finally, the treaty introduces a novel provision on the liability of investors, who “shall be subject to civil actions for liability in the judicial process of their home state for the acts or decisions made in relation to the investment where such acts or decisions lead to significant damage, personal injuries or loss of life in the host state” (Art. 20). The substantive provisions of the treaty replicate in good substance those commonly found in BITs. The specifications on “like circumstances” for purposes of national treatment may be expected to facilitate the interpretation and application of the standard. The reference to the making of an investment and the conduct of business in the most-favoured-nation (MFN) provision presumably excludes the application of the standard to procedural provisions, although an express clarification in this sense could have been appropriate. The provision on MST conveys the cautious approach of the Parties through the careful demarcation of FET and the confinement of protection and security to police protection. The significance of the treaty lies with four main largely innovative elements. First, the treaty counterbalances the protection granted to investors with a series of obligations on the conduct of investment. While not entirely novel, these obligations—especially those related to environmental and social impact assessment, human rights, corruption, and corporate governance and responsibly—greatly increase the legitimacy of the treaty. Second, the treaty effectively safeguards the policy space of the host state. With regard to environmental and social measures, in particular, it is worth noting that their adoption depends on the good-faith judgment of the host state without any necessity test being applicable. Arbitral tribunals are thus expected to show a great deal of deference to the host state action. Art. 26 blurs the roles and positions of states and investors. It undermines the essence of the settlement of investor–state disputes, namely their insulation from political considerations, hazards and pressure. The very fact that the procedure under Art. 26 is activated by the national state is questionable and may raise several problems, also with regard to the jurisdiction of arbitral tribunals under Art. 27. The final innovation is the provision on the investor liability before the tribunals of the home state, which may have a considerable impact on domestic litigation against investors—especially multinational companies—and help overcome jurisdictional hurdles and most prominently the forum non conveniens doctrine. This can be considered as an important development from the standpoint of the responsible conduct of investments, the redress of wrongful doings and the role of the home state. Morocco and Nigeria have shown confidence in the BIT as an instrument to foster economically, socially and environmentally sustainable investments. The treaty offers protection to investors without compromising on the host state’s capacity to meet its responsibilities. It also contains several innovative provisions that recalibrate the legal protection of the interests of all stakeholders. With regard to procedural matters, the provision on liability of investors before the tribunals of the home state is an important development. The drafting of the provisions on the involvement of the Joint Committee in the settlement of disputes, on the contrary, raise several questions that the Parties may consider addressing through an exchange of letters, a protocol, or any other suitable means. Tarcisio Gazzini is Professor of Law at the University of East Anglia. 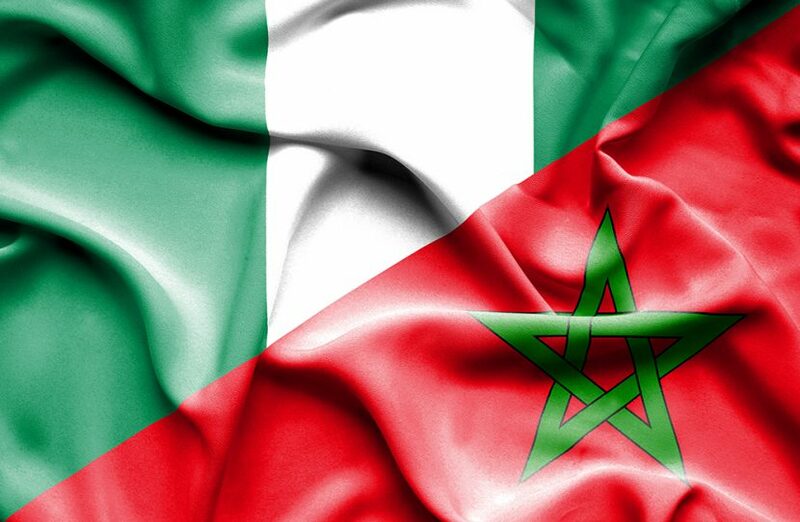 This article is based on “Nigeria and Morocco move towards a ‘New Generation’ of Bilateral Investment Treaties,” published on EJIL Talk! in May 2017, http://www.ejiltalk.org. See Schill, S. W. & Mbengue, M. M. (Eds). (2017). Africa and the reform of the international investment regime [Special issue]. Journal of World Investment & Trade, 18(3). Retrieved from http://booksandjournals.brillonline.com/content/journals/22119000/18/3. Salini Costruttori S.p.A. and Italstrade S.p.A. v. Morocco, Case No. ICSID ARB/00/4, Decision on Jurisdiction, July 23, 2001, para 52. Retrieved from https://www.italaw.com/sites/default/files/case-documents/ita0738.pdf. See, for example, Supplementary Act A/SA.3/12/08 adopting community rules on investment and the modalities for their implementation with ECOWAS, December 19, 2008. Retrieved from http://investmentpolicyhub.unctad.org/Download/TreatyFile/3266. See, for example, Government of the Republic of India. (2015, December). Model text for the Indian bilateral investment treaty, Art. 14.11. Retrieved from http://investmentpolicyhub.unctad.org/Download/TreatyFile/3560. See, for example, Treaty between the United States of America and the Government of the Republic of Rwanda concerning the encouragement and reciprocal protection of investment, February 19, 2008, Art. 28(2). Retrieved from http://investmentpolicyhub.unctad.org/Download/TreatyFile/2241.